Among the benefits to local communities from the Site C project are a regional legacy benefits agreement, infrastructure improvements, recreation and tourism opportunities, and affordable housing. BC Hydro is proposing a number of measures to improve transportation infrastructure in the Peace Region during construction, such as upgrades to roads and highways and pavement condition monitoring on project-related roads. Installed a paved brake check on Canyon Drive for use by all heavy vehicles approaching Hudson's Hope to enhance road safety. Provided funding to the Ministry of Transportation and Infrastructure to install additional street lighting along Highway 97 through Taylor, dynamic message board signs and a highway webcam to provide advance notification of weather and road conditions. Public road improvements to Old Fort, 240, 269 and 271 roads. Ensure the public is advised about any work that will have a significant impact on local and regional traffic. Provide funding to the Ministry of Transportation and Infrastructure to undertake additional pavement condition monitoring on project-related roads. Fund repairs if project use results in road deterioration. Implement a traffic monitoring and mitigation plan that includes traffic counts and intersection and performance analysis. Realign sections of Highway 29 that will be flooded and incorporate safety improvements. Reconstruct DA Thomas Road prior to the construction of a berm in Hudson's Hope; rehabilitate Clarke Avenue upon completion of the berm, as required. The construction and operation of Site C will provide new and expanded recreation and tourism opportunities for residents of the Peace region, such as new boat launches and day use areas, a public viewpoint of the dam site and funding for community recreation sites. Provided $200,000 to the District of Chetwynd to support recreation projects on the south bank. Constructed a public viewpoint of the dam site on the north bank. Provided $150,000 to the District of Hudson's Hope for the enhancement of Alwin Holland Park or other community shoreline recreation areas. Build and operate three permanent Site C reservoir boat launches and day use areas at Cache Creek/Bear Flats, Lynx Creek and at the base of DA Thomas Road in Hudson's Hope. Reconnect the walking trail at DA Thomas to Dudley Drive, once the Hudson's Hope berm is complete. Provide $200,000 for a community recreation site fund to support community groups in developing new shoreline recreation areas. Invite local museums to participate in mitigation by funding the development or enhancement of heritage programming. Provide $200,000 to fund the development of a BC Peace River / Site C Reservoir Navigation and Recreation Opportunities Plan. 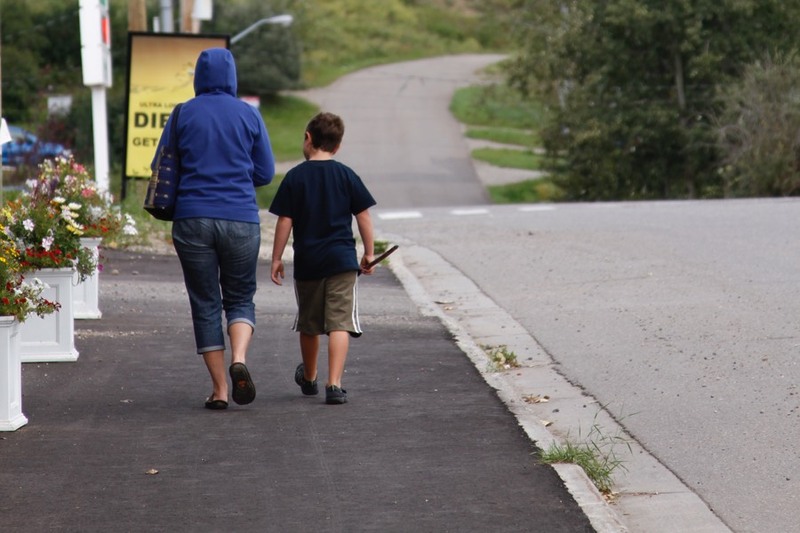 To support housing options for workers, BC Hydro is working with BC Housing to build new housing units in Fort St. John, provide new daycare spaces in Fort St. John, and add new long-stay RV spaces at Peace Island Park. Added 20 new long-stay RV spaces at Peace Island Park in partnership with the District of Taylor. Built a total of 50 new rental housing units in Fort St. John. Forty units will be used by construction workers and their families during project construction. Ten units would be built for immediate use by the community. At the completion of construction, all 50 units would be provided as affordable rental housing for community use. Provide new daycare spaces in the Fort St. John area to support families in the labour force. BC Hydro is proposing a variety of measures to support non-profit organizations in the Peace Region during construction, along with other measures to reduce the impact of the project on community services and infrastructure. Provided $250,000 to local non-profits that provide emergency and transitional housing services, such as the Salvation Army Northern Centre of Hope. Provided $75,000 to one or more non-profit organizations identified by the City of Fort St. John. Provide funding to local and regional governments to support emergency rescue services during project construction. $800,000 Generate Opportunities (GO) Fund to support non-profit organizations in the North and South Peace. Provide an on-site project health clinic, water and sewer systems, and recreational facilities at the worker lodge to reduce demand on community infrastructure and services. Assist workers and their families relocating to the area by providing local information packages about health, education and social services. Provide direct funding to the City to fund one additional RCMP officer to be based out of the Fort St. John detachment. Support local governments, Northern Health, emergency service providers and School Districts 60 and 59 by providing information to help them plan for changes in resident population. Implement community water supply monitoring programs with the District of Taylor and the City of Fort St. John; implement appropriate mitigation measures if required. Replace Hudson's Hope water supply infrastructure affected by the Site C reservoir. $184,000 to Northern Opportunities for the creation of a school district career counsellor position that helped students transition into trades and career training. $100,000 to the North East Native Advancing Society in support of trades training under its North East Aboriginal Trades Training program. $175,000 over five years to Northern Opportunities for its pre-apprenticeship programs. Work with contractors to identify and increase apprenticeship opportunities and participate in regional workforce training initiatives. Estimated $130 million increase in regional gross domestic product (GDP), during construction. Estimated $2 million per year for local governments during operations from grants-in-lieu and school taxes.